Bruce will appear live on the Good Morning San Diego Show. Bruce's segment theme will be "Hi-Tech Oral Hygiene". Bruce will appear live on the Good Morning San Diego Show. Bruce's segment theme will be "ElliptiGO Mountain Stand-Up Bicycle". Bruce appeared live with Carlos Amezcua on the Good Morning San Diego Show. Bruce's segment theme was "Hi-Tech Spring Cleaning". Click here to see the products featured. Bruce appeared live with Jason Austell on the Good Morning San Diego Show. Bruce's segment theme was "Awesome Spring Fitness Gear". Bruce appeared live with Jason Austell on the Good Morning San Diego Show. Bruce's segment theme was "Hot Gear for Spring Break". Bruce appeared live with Elizabeth Alvarez on the Good Morning San Diego Show. Bruce's segment theme was "Cool Tools for Taxes and Business". Bruce appeared live with Carlos Amezcua on the Good Morning San Diego Show. Bruce's segment theme was "Products to Keep You Healthy in 2019". Bruce appeared live with Lauren Phinney and Carlos Amezcua on the Good Morning San Diego Show. Bruce's segment theme was "Super Bowl Experience". Bruce appeared live with Lauren Phinney on the Good Morning San Diego Show. Bruce's segment theme was "Consumer Electronics Show (CES) 2019 Hot Products". Bruce appeared live with Carlos Amezcua on the Good Morning San Diego Show. Bruce's segment theme was "Holiday Tech Gift Ideas". Bruce appeared live with Ginger Jeffries on the Good Morning San Diego Show. Bruce's segment theme was "Awesome Holiday Gifts". Bruce appeared live with Carlos Amezcua on the Good Morning San Diego Show. Bruce's segment theme was "Healthy for the Holidays". Bruce appeared live with Carlos Amezcua and Lauren Phinney on the Good Morning San Diego Show. Bruce's segment theme was "Holiday Video Game Roundup". Bruce appeared live with Carlos Amezcua and Elizabeth Alvarez on the Good Morning San Diego Show. Bruce's segment theme was "Cool Gadgets and Gear". Bruce appeared live with Lauren Phinney on the Good Morning San Diego Show. Bruce's segment theme was "Schwinn Cruiser Exercise Bike". Bruce appeared live with Jason Austell on the Good Morning San Diego Show. Bruce's segment theme was "Hi-Tech Home Cleaning Machines". Bruce appeared live with Carlos Amezcua on the Good Morning San Diego Show. Bruce's segment theme was "Products to Make You Healthy". Bruce appeared live with Logan Byrnes and Lauren Phinney on the Good Morning San Diego Show. Bruce's segment theme was "Cutting the Cord". Bruce appeared live with Carlos Amezcua on the Good Morning San Diego Show. Bruce's segment theme was "Cool Tools for School". Bruce appeared live with Ginger Jeffries on the Good Morning San Diego Show. Bruce's segment theme was "Innovative Products for the Home". Bruce appeared live with Carlos Amezcua on the Good Morning San Diego Show. Bruce's segment theme was "Hi-Tech Back to School". Bruce appeared live with Elizabeth Alvarez on the Good Morning San Diego Show. Bruce's segment theme was "Hi-Tech Cleaning Machines". Bruce appeared live with Carlos Amezcua on the Good Morning San Diego Show. Bruce's segment theme was "Essential Gear for Running & Walking". Bruce appeared live with Carlos Amezcua on the Good Morning San Diego Show. Bruce's segment theme was "Healthy Foods". Bruce appeared live with Carlos Amezcua on the Good Morning San Diego Show. Bruce's segment theme was "Cool Tools for Taxes". Bruce appeared live with Allen Denton on the KUSI News at 6. Bruce's segment theme was "Hot Holiday Gifts". Bruce appeared live with Carlos Amezcua on the Good Morning San Diego Show. Bruce's segment theme was "Star Wars Gift Ideas". Bruce appeared live with Carlos Amezcua on the Good Morning San Diego Show. Bruce's segment theme was "Unique Tech Gifts". Bruce appeared live with Jason Austell on the Good Morning San Diego Show. Bruce's segment theme was "Healthy Product Gift Ideas". Bruce appeared live with Carlos Amezcua on the Good Morning San Diego Show. Bruce's segment theme was "Awesome Holiday Gift Ideas". Bruce appeared live with Carlos Amezcua on the Good Morning San Diego Show. Bruce's segment theme was "Gifts for Gamers". Bruce appeared with Jason Austell and Elizabeth Alvarez on the Good Morning San Diego Show. Bruce's segment theme was "Gift Ideas for Kids & Teens". Bruce appeared live with Carlos Amezcua and Lou Ferrigno on the Good Morning San Diego Show. Bruce's segment theme was "Lou Ferrigno Legacy". Bruce Appears on KUSI TV — Six Brilliant Inventions You Can't Live Without! Bruce appeared live with Carlos Amezcua on the Good Morning San Diego Show. Bruce's segment theme was "Six Brilliant Inventions You Can't Live Without!" Bruce appeared live with Lisa Remillard on the Good Morning San Diego Show. Bruce's segment theme was "Hot Fall Technology." Bruce appeared live with Carlos Amezcua on the Good Morning San Diego Show. Bruce's segment theme was "How to Tighten Your Waistline." Bruce appeared live with Jason Austell on the Good Morning San Diego Show. Bruce's segment theme was "Healthy Products." Bruce appeared live with Carlos Amezcua and Alissa Parker on the Good Morning San Diego Show. Bruce's segment theme was "Innovative Fitness Gadgets." Bruce appeared live with Carlos Amezcua and Lisa Remillard on the Good Morning San Diego Show. Bruce's segment theme was "Hot New Technology Products." Bruce appeared live with Carlos Amezcua on the Good Morning San Diego Show. Bruce's segment theme was "Cool Tools for Back to School." Bruce appeared live with Jason Austell and Elizabeth Alvarez on the Good Morning San Diego Show. Bruce's segment theme was "Cool Tools for Back to School." Bruce appeared live with Carlos Amezcua on the Good Morning San Diego Show. Bruce's segment theme was "Cutting the Cord." Bruce appeared live with Carlos Amezcua on the Good Morning San Diego Show. Bruce's segment theme was "Products to Improve Your Health." Bruce appeared live with Carlos Amezcua and David Davis on the Good Morning San Diego Show. Bruce's segment theme was "Innovative Products for the Home." Bruce appeared live with Carlos Amezcua and David Davis on the Good Morning San Diego Show. Bruce's segment theme was "Hot Products to Stay Cool." Bruce appeared live with Jason Austell on the Good Morning San Diego Show. Bruce's segment theme was "Summer Treats." Bruce appeared live with Jason Austell on the Good Morning San Diego Show. Bruce's segment theme was "Great Gift Ideas for Father's Day." Bruce appeared live with Carlos Amezcua on the Good Morning San Diego Show. Bruce's segment theme was "Great Gift Ideas for Grads." Bruce appeared live with Jason Austell and Elizabeth Alvarez on the Good Morning San Diego Show. Bruce's segment theme was "Mother's Day." Bruce appeared live with Carlos Amezcua and David Davis on the Good Morning San Diego Show. Bruce's segment theme was "Essential Gear for Walking and Running." Bruce appeared live with Jason Austell on the Good Morning San Diego Show. Bruce's segment theme was "Spring Home Improvement Gear." Bruce appeared live with Carlos Amezcua and Lisa Remillard on the Good Morning San Diego Show. Bruce's segment theme was "Hot New Phones and Accessories." Bruce appeared live with Brandi Williams on the Good Morning San Diego Show. Bruce's segment theme was "Best of Natural Products Expo West Show." Bruce appeared live with Elizabeth Alvarez on the Good Morning San Diego Show. Bruce's segment theme was "Spring Fitness Gear." Bruce appeared live with Elizabeth Alvarez on the Good Morning San Diego Show. Bruce's segment theme wias "Innovative Tech Products." Bruce appeared live with Carlos Amezcua on the Good Morning San Diego Show. Bruce's segment theme was "Hot New Tech Products." Bruce appeared live with Dan Plante on the Good Morning San Diego Show. Bruce's segment theme was "High-Tech Oral Hygiene." Bruce appeared live with Dan Plante and Lisa Remillard on the Good Morning San Diego Show. Bruce's segment theme was "Inclement Weather Gear." Bruce appeared live with Dan Plante and Lisa Remillard on the Good Morning San Diego Show. Bruce's segment theme was "Virtual Reality Headsets." Bruce appeared live on the Good Morning San Diego Show. Bruce's segment theme was "Last Minute Holiday Gifts." Bruce appeared live with Elizabeth Alvarez and Allie Wagner on the Good Morning San Diego Show. Bruce's segment theme was "Unique Holiday Gifts." Bruce appeared live with Carlos Amezcua and Lisa Remillard on the Good Morning San Diego Show. Bruce's segment theme was "Black Friday Deals." Bruce appeared live with Elizabeth Alvarez on the Good Morning San Diego Show. Bruce's segment theme was "Staying Healthy for the Holidays." Bruce appeared live with Carlos Amezcua and Lisa Remillard on the Good Morning San Diego Show. Bruce's segment theme was "Holiday Tech Gift Ideas." Bruce appeared live on the Good Morning San Diego Show. Bruce's segment theme was "Hot New Technology Products." Bruce appeared live with Dan Plante on the Good Morning San Diego Show. Bruce's segment theme was "Awesome Gadgets for Everyone." Bruce appeared live with Dan Plante on the Good Morning San Diego Show. Bruce's segment theme was "Great Products to Stay Healthy." Bruce appeared live with Sandra Maas on the KUSI Evening News. Bruce's segment theme was "Google Pixel Phone." Bruce appeared live with Carlos Amezcua on the Good Morning San Diego Show. Bruce's segment theme was "Save Money by Cutting the Cord." Bruce appeared live with Francella Perez on the Good Morning San Diego Show. Bruce's segment theme was "Essential Gear for Walking and Running." Bruce appeared live with Carlos Amezcua on the Good Morning San Diego Show. Bruce's segment theme was "Essential Products to Start Your Own Business." Bruce appeared live with Dan Plante and Elizabeth Alvarez on the Good Morning San Diego Show. Bruce's segment theme was "2016 IDEA World Fitness Convention." Bruce appeared live with Carlos Amezcua and Lisa Remillard on the Good Morning San Diego Show. Bruce's segment theme was"Innovative Products for the Home." Bruce appeared live with Carlos Amezcua and Lisa Remillard on the Good Morning San Diego Show. Bruce's segment theme was "Hot Products to Stay Cool." Bruc appeared live with Dan Plante and Allie Wagner on the Good Morning San Diego Show. Bruce's segment theme was "Father's Day Gift Ideas." Bruce appeared live with Dan Plante and Elizabeth Alvarez on the Good Morning San Diego Show. Bruce's segment theme was "Dads and Grads." Bruce appeared live on the Good Morning San Diego Show. Bruce's segment theme was "Mother's Day Gift Ideas." Bruce appeared live with Lisa Remillard on the Good Morning San Diego Show. Bruce's segment theme was "Emergency Preparedness Gear." Bruce appeared live with Elizabeth Alvarez on the Good Morning San Diego Show. Bruce's segment theme was "Healthy Foods Expo." Bruce appeared live with Dan Plante and Elizabeth Alvarez on the Good Morning San Diego Show. Bruce's segment theme was "Hot Gear for Spring Fitness." Bruce appeared live with Dan Plante on the Good Morning San Diego Show. Bruce's segment theme was "Hi-Tech Spring Cleaning." Bruce appeared live with Dan Plante and Elizabeth Alvarez on the Good Morning San Diego Show. Bruce's segment theme was "Cutting the Cord." Bruce appeared live with David Davis on the Good Morning San Diego Show. Bruce's segment theme was "Cutting the Cord." Bruce appeared live with Carlos Amezcua on the Good Morning San Diego Show. Bruce's segment theme was "Best of CES 2016." Bruce appeared live with Carlos Amezcua and Elizabeth Alvarez on the Good Morning San Diego Show. Bruce's segment theme was "Crazy Inventions." Bruce appeared live with Dan Plante on the Good Morning San Diego Show. Bruce's segment theme was "Healthy Products for 2016." Bruce appeared live with Carlos Amezcua and Elizabeth Alvarez on the Good Morning San Diego Show. Bruce's segment theme was "Last Minute Holiday Gifts." on the Good Morning San Diego Show. Bruce's segment theme was "Executive Gifts." Bruce appeared live with Elizabeth Alvarez on the Good Morning San Diego Show. Bruce's segment theme was "Holiday Housewares." Bruce appeared live with Carlos Amezcua on the Good Morning San Diego Show. Bruce's segment theme was "Glitek S Glide." Bruce appeared live with Carlos Amezcua on the Good Morning San Diego Show. Bruce's segment theme was "Hot Holiday Toys." Bruce appeared live with Dan Plante on the Good Morning San Diego Show. Bruce's segment theme was "Healthy for the Holidays." Bruce appeared live with Carlos Amezcua and Lisa Remillard on the Good Morning San Diego Show. Bruce's segment theme was "Video Game Holiday Roundup." Bruce appeared live with Carlos Amezcua on the Good Morning San Diego Show. Bruce's segment theme was "Holiday Tech Gift Preview." Bruce appeared live with Dan Plante on the Good Morning San Diego Show. Bruce's segment theme was "Hi-Tech Bicycle Accessories." Bruce appeared live with Leslie Lopez on the Good Morning San Diego Show. Bruce's segment theme was "Apple iPhone 6S." Bruce appeared with Dan Plante live on the Good Morning San Diego Show. Bruce's segment theme was "The Future of TV." Bruce appeared live with Dan Plante on the Good Morning San Diego Show. Bruce's segment theme was "Innovative Products for Sport Injuries and Rehab." Bruce appeared live with Dan Plante on the Good Morning San Diego Show. Bruce's segment theme was "Cool Tools for Back to School." Bruce appeared live with Dan Plante on the Good Morning San Diego Show. Bruce's segment theme was "Hot Products to Stay Cool." Bruce appeared live with Leslie Lopez and Carlos Amezcua on the Good Morning San Diego Show. Bruce's segment theme was "IDEA World Trade Show." Bruce appeared live with Dan Plante on the Good Morning San Diego Show. Bruce's segment theme was "Get in Shape for the Summer." Bruce appeared live on with David Davis the Good Morning San Diego Show. Bruce's segment theme was "Last Minute Father's Day Gifts." Bruce appeared live with David Davis on the Good Morning San Diego Show. Bruce's segment theme was "Gift Ideas for Dads or Grads." Bruce appeared live with Dan Plante on the Good Morning San Diego Show. Bruce's segment theme was "Early Gift Ideas for Dads." Bruce appeared live with Leslie Lopez on the Good Morning San Diego Show. Bruce's segment theme was "Natural Foods Expo West." Bruce appeared live with David Davis and Lisa Remillard on the Good Morning San Diego Show. Bruce's segment theme was "Mother's Day Gifts." Bruce appeared live with Dan Plante and Elizabeth Alvarez on the Good Morning San Diego Show. Bruce's segment theme was "Awesome Spring Fitness Gear." Bruce appeared live with Dan Plante on the Good Morning San Diego Show. Bruce's segment theme was "Hot New Gadgets for Everyone." Bruce appeared live with Dan Plante on the Good Morning San Diego Show. Bruce's segment theme was "Essential Gear for Running and Walking." Bruce appeared live with Dan Plante on the Good Morning San Diego Show. Bruce's segment theme was "Cool Tools for Doing Taxes." Bruce appeared live with Lauren Phinney on the KUSI Nightly News. Bruce's segment theme was "Apple Watch." Bruce appeared live with Dan Plante on the Good Morning San Diego Show. Bruce's segment theme was "Outrageous Valentine's Gifts." Bruce appeared live with Dan Plante on the Good Morning San Diego Show. Bruce's segment theme was "Healthy Products for 2015." Bruce appeared live with David Davis and Dan Plante on the Good Morning San Diego Show. Bruce's segment theme was "Cut the Cord." Bruce appeared live with David Davis and Lisa Remillard on the Good Morning San Diego Show. Bruce's segment theme was "2015 Consumer Electronics Show (CES)." Bruce appeared live with Frank Buckley, Mark Kriski, Jessica Holmes on the KTLA Morning Show on Los Angeles super station KTLA TV. Bruce's segment theme was "Innovative Fitness Products." Bruce appeared live with Brandi Williams and Dan Plante on the Good Morning San Diego Show. Bruce's segment theme was "Merry Fit-Mas." Bruce appeared live with David Davis and Lisa Remillard on the Good Morning San Diego Show. Bruce's segment theme was "Last Minute Holiday Gift Ideas." Bruce appeared live with David Davis on the Good Morning San Diego Show. Bruce's segment theme was "Black Friday Tech Gifts." Bruce appeared live with Lisa Remillard and Dan Plante on the Good Morning San Diego Show. Bruce's segment theme was "Holiday Video Games." Bruce appeared live with Leslie Lopez on the Good Morning San Diego Show. Bruce's segment theme was " Products to Help Prevent Germs & Infections." Bruce appeared live with David Davis on the Good Morning San Diego Show. Bruce's segment theme was " Innovative Products for the Home." Bruce appeared live on the Good Morning San Diego Show. Bruce's segment theme was "HOT New Phones & Accessories." Bruce appeared live on the KUSI Evening News. Bruce's segment theme was " Apple iPhone 6." Bruce appeared live with David Davis on the Good Morning San Diego Show. Bruce's segment theme was "Big Game Gear." Bruce appeared live with Brandi Williams on the Good Morning San Diego Show. Bruce's segment theme was "New Apple Product Announcement." Bruce appeared live with Brandi Williams on the Good Morning San Diego Show. Bruce's segment theme was "Back to School." Bruce appeared live with Dan Plante and Lisa Remillard on the Good Morning San Diego Show. Bruce's segment theme was "Hot New Fitness Products to Get You in Shape." Bruce appeared live with David Davis and Brandi Williams on the Good Morning San Diego Show. Bruce's segment theme was "Hot Products to Stay Cool." Bruce appeared live with David Davis and Lisa Remillard on the Good Morning San Diego Show. Bruce's segment theme was "Father's Day Gifts." Bruce appeared live on the Good Morning San Diego Show. Bruce's segment theme was "How to Hide Your House." Bruce appeared live with Brandi Williams and David Davis on the Good Morning San Diego Show. Bruce's segment theme was "Gifts for Dads & Grads." Bruce appeared live with Dan Plante on the Good Morning San Diego Show. Bruce's segment theme was "Wacky Products to Reduce Stress." Bruce appeared live with David Davis and Lisa Remillard on the Good Morning San Diego Show. Bruce's segment theme was "Unique Mother's Day Gifts." Bruce appeared live with Brandi Williams on the Good Morning San Diego Show. Bruce's segment theme was "Essential Gear for Running & Walking." Bruce appeared live with Leslie Lopez on the Good Morning San Diego Show. Bruce's segment theme was "Cut Your Cable." Bruce appeared live with Dan Plante and Lisa Remillard on the Good Morning San Diego Show. Bruce's segment theme was "Hot Gear for Spring Fitness." Bruce appeared live with Brandi Williams on the Good Morning San Diego Show. Bruce's segment theme was "Cool Tools for Taxes." Bruce appeared live with Leslie Lopez on the Good Morning San Diego Show. Bruce's segment theme was "Hi-Tech Floor Cleaning." The Muscleman of Technology will report live from IHRSA 2014, the Association's 33rd Annual International Convention & Trade Show in San Diego, California, March 12-15, 2014. Bruce appeared live with Leslie Lopez and Brandi Williams on the Good Morning San Diego Show. Bruce's segment theme was "Hi-Tech Valentines Gifts." Bruce appeared live with Brandi Williams and David Davis on the Good Morning San Diego Show. Bruce's segment theme was "Best of CES." Bruce appeared live on the KTLA Morning Show with Frank Buckley, Mark Kriski and Jessica Holmes on Los Angeles super station KTLA TV. Bruce's segment theme was "Innovative Fitness Products." The Muscleman of Technology will report live from CES, the world's largest consumer electronics show featuring the hottest technologies under the sun from 2,400 exhibitors. Bruce appeared live with Leslie Lopez on the Good Morning San Diego Show. Bruce's segment theme was "Fitness Gear." Bruce appeared live with Dan Plante, David Davis, and Leslie Lopez on the Good Morning San Diego Show. Bruce's segment theme was "Last Minute Christmas Gifts." Bruce appeared live with Dan Plante and Leslie Lopez on the Good Morning San Diego Show. Bruce's segment theme was "Holiday Kitchen Gadgets." Bruce appeared live with Brandi Williams and David Davis on the Good Morning San Diego Show. Bruce's segment theme was "Hottest Holiday Tech Gifts." Bruce appeared live with Brandi Williams on the Good Morning San Diego Show. Bruce's segment theme was "PlayStation 4 - Everything You Need to Know." Bruce appeared live with Leslie Lopez on the Good Morning San Diego Show. Bruce's segment theme was "Apple iPad Air." Bruce appeared live with Bridget Naso and Dan Plante on the Good Morning San Diego Show. Bruce's segment theme was "Holiday Gift Preview - Manly Gifts for Men." Bruce appeared live with Brandi Williams and David Davis on the Good Morning San Diego Show. Bruce's segment theme was "Scary Halloween Gadgets & Products." Bruce appeared live with Brandi Williams on the Good Morning San Diego Show. Bruce's segment theme was "Hi-Tech Chargers Gear." Bruce appeared live with Brandi Williams on the Good Morning San Diego Show. Bruce's segment theme was "Hot New Cell Phones & Accessories." Bruce appeared live with David Davis and Alexis Delchiaro on the Good Morning San Diego Show. Bruce's segment theme was "Eco Products for the Home." Bruce appeared live with Alexis Delchiaro on the Good Morning San Diego Show. Bruce's segment theme was "San Diego Chargers." Bruce appeared live with Bridget Naso on the Good Morning San Diego Show. Bruce's segment theme was "High Tech Floor Cleaning." Bruce appeared live with Bridget Naso on the Good Morning San Diego Show. Bruce's segment theme was "Back to School." Bruce appeared live with Alexis Delchiaro on the Good Morning San Diego Show. Bruce's segment theme was "Charger Football - Gear for the Game." Bruce appeared live on the KTLA Morning Show with Mark Kriski and Jessica Holmes on Los Angeles super station KTLA TV. Bruce's segment theme was "Back to School." Bruce appeared live with Brandi Williams and Leslie Lopez on the Good Morning San Diego Show. Bruce's segment theme was "Home Fitness Gear." Bruce appeared live with Bridget Naso on the Good Morning San Diego Show. Bruce's segment theme was "Great Travel Gadgets & Gear." Bruce appeared live on the Good Morning San Diego Show. Bruce's segment theme was "Hot Products to Stay Cool." Bruce appeared live with Alexis Delchiaro on the Good Morning San Diego Show. Bruce's segment theme was "Awesome New Fitness Gears." Bruce appeared live with Courtney Friel and Rick Chambers on the KTLA Sunday Evening News on Los Angeles super station KTLA TV. Bruce's segment theme was "2013 E3 Expo Recap." Bruce appeared live with Brandi Williams on the Good Morning San Diego Show. Bruce's segment theme was "Digital Gym Grand Opening." Bruce appeared live with David Davis on the Good Morning San Diego Show. Bruce's segment theme was "Father's Day." Bruce appeared live with Ross Becker on the San Diego People Show. Bruce's segment theme will be"Gifts for Dads & Grads." Bruce appeared live with Jon Du Pre on the Good Morning San Diego Show. Bruce's segment theme was "Cool Spring Tech Products." Bruce appeared live with David Davis and Alexis Delchiaro on the Good Morning San Diego Show. Bruce's segment theme was "Mother's Day." Bruce appeared live with Brandi Williams on the Good Morning San Diego Show. Bruce's segment theme was "High Tech Oral Hygiene." Bruce appeared live with Alexis Delchiaro, David Davis, Dave Scott, and Chris Richard from the Tampa Bay Rays on the Good Morning San Diego Show. Bruce's segment theme was "Great Padres Gear." Bruce appeared live with Alexis Delchiaro and Ross Becker on the Good Morning San Diego Show. Bruce's segment theme was "Products to Keep You Safe & Secure." Bruce appeared live with Brandi Williams on the Good Morning San Diego Show. Bruce's segment theme was "Taxes and Organization." Bruce appeared live with David Davis on the Good Morning San Diego Show. Bruce's segment theme was "Spring Fitness." Bruce appeared live Alexis Delchiaro and David Davis on the Good Morning San Diego Show. Bruce's segment theme will be "CES Roundup." Bruce appeared live with David Davis on the Good Morning San Diego Show. Bruce's segment theme was "Valentine's Day Gifts." Bruce appeared live with Brandi Williams on the Good Morning San Diego Show. Bruce's segment theme was "Superbowl - Great Gear to Enjoy the Big Game." The Muscleman of Technology reported live from CES, the world's largest consumer electronics show featuring the hottest technologies under the sun from 2,400 exhibitors. Bruce Appears on KUSI TV — Merry Fit-Mas! Bruce appeared live with Staci Ortiz and David Davis on the Good Morning San Diego Show. Bruce's segment theme was "Merry Fit-Mas!." Bruce appeared live with Alexis Delchiaro and David Davis on the Good Morning San Diego Show. Bruce's segment theme was "Last Minute Holiday Gifts." Bruce appeared live with Alexis Delchiaro and David Davis on the Good Morning San Diego Show. Bruce's segment theme was "Awesome Holiday Tech Gifts." Bruce appeared live with Alexis Delchiaro and David Davis on the Good Morning San Diego Show. Bruce's segment theme was "Electronic Toys and Video Games." Bruce appeared live with Brandi Williams on the Good Morning San Diego Show. Bruce's segment theme was "Gifts for Men." Bruce appeared live with Tom Jordan on the Good Morning San Diego Show. Bruce's segment theme was "Hot Tech Gear for Fall." Bruce appeared live with Brandi Williams and David Davis on the Good Morning San Diego Show. Bruce's segment theme was "Microsoft Windows 8." Bruce appeared live with David Davis on the Good Morning San Diego Show. Bruce's segment theme was "Ferrari Racing Simulator Cockpit." Bruce appeared live on the #1 "KTLA Morning Show" with Mark Kriski on Los Angeles super station KTLA TV. Bruce's segment theme was "Best Pet Gear of 2012." Bruce appeared live with Tom Jordan on the Good Morning San Diego Show. Bruce's segment theme was "Great Halloween Gadgets." Bruce appeared live with Mary Beth McDade and Rick Chambers on the KTLA Sunday Evening News on Los Angeles super station KTLA TV. Bruce spoke about Apple's new iPhone 5. Bruce appeared live with Brandi Williams on the Good Morning San Diego Show. Bruce's segment theme was "Hot Pet Products for 2012." Bruce appeared live with Alexis Delchiaro on the Good Morning San Diego Show. Bruce's segment theme was "Apple iPhone 5." Bruce appeared live with Alexis Delchiaro on the Good Morning San Diego Show. Bruce's segment theme was "Innovative Fitness Gear." Bruce appeared live with David Davis and Alexis Delchiaro on the Good Morning San Diego Show. Bruce's segment theme was "Back to School." Bruce appeared live with Tom Jordan on the Good Morning San Diego Show. Bruce's segment theme was "Hot Summer Cell Phones & Accessories." Bruce appeared live with David Davis and Alexis Delchiaro on the Good Morning San Diego Show. Bruce's segment theme was "Opening Day at the Races." Bruce appeared live with David Davis and Alexis Delchiaro on the Good Morning San Diego Show. Bruce's segment theme was "How to Beat the Heat." Bruce appeared live with Ross Becker on the San Diego People Show. Bruce's segment theme was "Gifts for Dads & Grads." Bruce appeared live with David Davis and Alexis Delchiaro on the Good Morning San Diego Show. Bruce's segment theme was "Father's Day Tech Gifts." Bruce appeared live with Tom Jordan on the Good Morning San Diego Show. Bruce's segment theme was "Hi-Tech Pets." Bruce appeared live with David Davis on the Good Morning San Diego Show. Bruce's segment theme was "Battleship (the movie)." Bruce appeared live with David Davis and Alexis Delchiaro on the Good Morning San Diego Show. Bruce's segment theme was "Mother's Day Tech Gifts." Bruce appeared live with David Davis and Alexis Delchiaro on the Good Morning San Diego Show. Bruce's segment theme was "Hot Gear for Spring Fitness." Bruce appeared live with Tom Jordan on the Good Morning San Diego Show. Bruce's segment theme was "Hot New Tech Products for Spring." Bruce appeared live with David Davis and Alexis Delchiaro on the Good Morning San Diego Show. Bruce's segment theme was "Hi-Tech Baseball." Bruce appeared live with David Davis on the Good Morning San Diego Show. Bruce's segment theme was "The New Apple iPad." Bruce appeared live with Bridget Naso on the Good Morning San Diego Show. Bruce's segment theme was "Hi-Tech Spring Cleaning." Bruce appeared live on the Good Morning San Diego Show. Bruce's segment theme was "Waiting for the New Apple iPad." Bruce appeared live with David Davis and Alexis Delchiaro on the Good Morning San Diego Show. Bruce's segment theme was "How to Protect Your Technology." Bruce appeared live with David Davis on the Good Morning San Diego Show. Bruce's segment theme was "PlayStation Vita." Bruce appeared live with Tom Jordan on the Good Morning San Diego Show. Bruce's segment theme was "Taxes & Organization." Bruce appeared live with Tom Jordan on the Good Morning San Diego Show. Bruce's segment theme was "Wacky and Last Minute Valentine's Day Gifts." Bruce appeared live with David Davis and Alexis Delchiaro on the Good Morning San Diego Show. Bruce's segment theme was "Hi-Tech Valentine's Day Gifts." Bruce appeared live with David Davis and Alexis Delchiaro on the Good Morning San Diego Show. Bruce's segment theme was "Best of CES." Bruce appeared live with Bridget Naso and Tom Jordan on the Good Morning San Diego Show. Bruce's segment theme was "Hi-Tech Oral Hygiene." Bruce appeared live with Tom Jordan on the Good Morning San Diego Show. Bruce's segment theme was "2012 International Consumer Electronics Show Preview." Bruce appeared live with Michaela Pereira, Sam Rubin, Jessica Holmes, and Mark Kriski on the #1 "KTLA Morning Show" on Los Angeles super station KTLA TV. Bruce's segment theme was "Fitness Gadgets to Help you Lose Weight." Bruce appeared live with David Davis and Alexis Delchiaro on the Good Morning San Diego Show. Bruce's segment theme was "Staying Healthy over the Holidays." Bruce appeared live with David Davis on the Good Morning San Diego Show. Bruce's segment theme was "Crazy Holidays Gadgets." Bruce appeared live with Alexis Delchiaro on the Good Morning San Diego Show. Bruce's segment theme was "Holiday Video Game Round-Up." Bruc appeared live with Tom Jordan and Bridget Naso on the Good Morning San Diego Show. Bruce's segment theme was "Holiday Electronics Tech Preview." Bruce appeared live with David Davis, Alexis Delchiaro and Iliza Shlesinger (the quick-witted host of "Excused") on the Good Morning San Diego Show. Bruce's segment theme was "Trends in Hi-Tech Health Fitness Products." Bruce entered his first physique competition in 12 years. 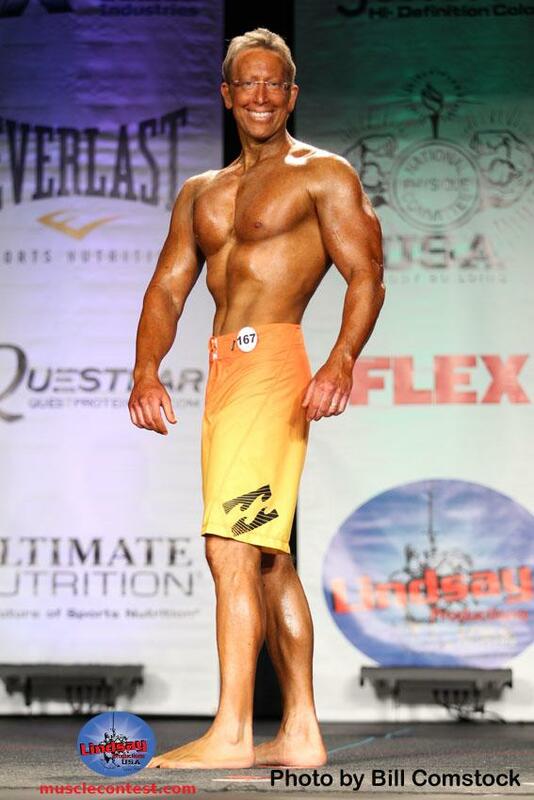 He took 3rd place in the "Men's Physique Masters" category at the NPC Border States Bodybuilding Championships. This is a big show because it is a National Qualifier. Bruce was the Moderator for the Consumer Electronics Association (CEA) Health & Fitness Tech Session at the CEA Industry Forum. Bruce appeared live with Michaela Pereira on the #1 "KTLA Morning Show" on Los Angeles super station KTLA TV. Bruce's segment theme was "Scary Halloween Tech." Bruce appeared live with Alexis Delchiaro on the Good Morning San Diego Show. Bruce's segment theme was "Halloween Fun." Bruce appeared live with David Davis and Alexis Delchiaro on the Good Morning San Diego Show. Bruce's segment themes were the new "Apple iPhone 4S" and "Crazy Remote Controlled Trucks, Cars and Sharks." Bruce appeared live with Tom Jordan on the Good Morning San Diego Show. Bruce's segment theme was "Hot New Technology." Bruce appeared live with Sasha Foo on the Good Morning San Diego Show. Bruce's segment theme was "Emergency Preparedness Gadgets." Bruce appeared live with Kerri Sargent and Mike McCuen on the Good Morning San Diego Show. Bruce's segment theme was "The Zike Hybrid Scooter." Bruce appeared live with David Davis and Alexis Delchiaro on the Good Morning San Diego Show. Bruce's segment theme was "New Tech Gear for Fall." Bruce appeared live with Tom Jordan on the Good Morning San Diego Show. Bruce's segment theme was "Hot Products to Keep You Cool this Summer." Bruce appeared live with Tom Jordan on the Good Morning San Diego Show. Bruce's segment theme was "Sports and Fitness Gear." Bruce appeared live with Alexis Delchiaro on the Good Morning San Diego Show. Bruce's segment theme was "Senior Gadgets." Bruce appeared live with Bridget Naso on the Good Morning San Diego Show. Bruce's segment theme was "Great Vacation Travel Gear." Bruce appeared live with David Davis and Alexis Delchiaro on the Good Morning San Diego Show. Bruce's segment theme was "Great Gear for Opening Day at the Races ." Bruce Pechman, the "Muscleman of Technology," appeared in a commercial for KeyScan keyboards with a built-in scanner. This commercial aired nationwide on CNN Headline News and Bloomberg. Click here to see the commercial. Bruce appeared live with Tom Jordan and Bridget Naso on the Good Morning San Diego Show. Bruce's segment theme was "Summer Fun For Everyone." Bruce appeared live with Mark Kriski, Michaela Pereira, Jessica Holmes, and Sam Rubin on the #1 "KTLA Morning Show" on Los Angeles super station KTLA TV. Bruce's segment theme was "Exercise Machines from the Future." Bruce appeared live with Alexis Delchiaro on the Good Morning San Diego Show. Bruce's segment theme was "Father's Day Gifts." Bruce will cover the E3Expo 2011 at the Los Angeles Convention Center for multiple broadcast television stations. E3 is the world's largest trade show for computer video games, interactive software and related products. Bruce Pechman, the "Muscleman of Technology," appeared in a commercial for KeyScan keyboards with a built-in scanner. This commercial aired nationwide on Fox Business Channel and Fox News Channel. Click here to see the commercial. Bruce appeared live with Bridget Naso on the Good Morning San Diego Show. Bruce's segment theme was "Gifts for Dads & Grads." Bruce Pechman, the "Muscleman of Technology," was the Keynote Speaker at the City of San Diego Technology Fair at the Linda Vista Branch Library, 2160 Ulric St., San Diego 92111. There were other speakers, plus exhibitors demonstrating various gadgets. Bruce appeared live with Alexis Delchiaro and Dan Plante on the Good Morning San Diego Show. Bruce's segment theme was "Tabletmania." Bruce appeared live with Dan Plante on the Good Morning San Diego Show. Bruce's segment theme was "Essential Products to Start Your Own Business." Bruce appeared live with Bridget Naso on the Good Morning San Diego Show. Bruce's segment theme was "Mother's Day." Bruce appeared live with Staci Ortiz on the Good Morning San Diego Show. Bruce's segment theme was "Wacky Easter Decorations." Bruce appeared live with Alexis Delchiaro and Dan Plante on the Good Morning San Diego Show. Bruce's segment theme was "Nintendo 3DS." Bruce appeared live with Michaela Pereira on the #1 "KTLA Morning Show" on Los Angeles super station KTLA TV. Bruce's segment theme was "Save Money and Stop Buying Gas - Human & Alternative Powered Transportation Vehicles." Bruce appeared live with Alexis Delchiaro and Dan Plante on the Good Morning San Diego Show. Bruce's segment theme was "Human & Alternative Powered Transportation Vehicles." Bruce appeared live with David Davis on the Good Morning San Diego Show. Bruce's segment theme was "Apple iPad 2." Bruce appeared live with Dan Plante on the Good Morning San Diego Show. Bruce's segment theme was "Hi-Tech Fitness Gear." Bruce appeared live with Bridget Naso on the Good Morning San Diego Show. Bruce's segment theme was "Taxes and Organization." Bruce appeared live with Mike Castellucci on the Good Morning San Diego Show. Bruce's segment theme was "eBook Readers." Bruce appeared live with Alexis Delchiaro and Dan Plante on the Good Morning San Diego Show. Bruce's segment theme was "Hi-Tech Valentine's Day." Bruce appeared live with Alexis Delchiaro on the Good Morning San Diego Show. Bruce's segment theme was "Verizon iPhone vs. AT&T iPhone." The Muscleman of Technology will cover the Los Angeles Fitness Expo, California's Once a Year Fitness Event. Bruce appeared live with Alexis Delchiaro and Dan Plante on the Good Morning San Diego Show. Bruce's segment theme was "Cool Products from CES." Bruce appeared live with Alexis Delchiaro on the Good Morning San Diego Show. Bruce's segment theme was "Hi-Tech for Cars." Bruce appeared live with Dan Plante on the Good Morning San Diego Show. Bruce's segment theme was "Cool Tech Gifts Under $50." Bruce appeared live with David Davis on the Good Morning San Diego Show. Bruce's segment theme was "Hi-Tech Christmas Decorations." Bruce appeared live with Bridget Naso on the Good Morning San Diego Show. Bruce's segment theme was "Holiday Gifts for Pet Lovers." Bruce appeared live with Alexis Delchiaro on the Good Morning San Diego Show. Bruce's segment theme was "Holiday Video Game Preview." Bruce appeared live with David Davis on the Good Morning San Diego Show. Bruce's segment theme was "Hi-Tech Fitness." Bruce appeared live with Dan Plante and Alexis Delchiaro on the Good Morning San Diego Show. Bruce's segment theme was "Microsoft Kinect." Microsoft Kinect for Xbox 360 gets rid of controllers, wands, and buttons altogether—instead it uses your whole body as the controller! sensor array to detect your presence in front of the TV and track the movements of your body. Bruce appeared live with Alexis Delchiaro on the Good Morning San Diego Show. Bruce's segment theme was "eBook Readers." Bruce appeared live with Mike Castellucci on the Good Morning San Diego Show. Bruce's segment theme was "Wild and Crazy Halloween Gadgets." Bruce appeared live with Bridget Naso on the Good Morning San Diego Show. Bruce's segment theme was "Wild and Crazy Halloween Gadgets." Bruce spoke at AARP's 2010 National Event & Expo, Orlando@50+. The convention runs from September 30th – October 2nd at the Orange County Convention Center in Orlando, Florida. Bruce spoke about the Jitterbug cell phone, and its amazing & inexpensive services including Medication Reminders, LiveNurse, Check-in Calls, and more! Bruce appeared live with David Davis on the Good Morning San Diego Show. Bruce's segment theme was "Manscaping." Bruce appeared live with Dan Plante on the Good Morning San Diego Show. Bruce's segment theme was "Halo Reach." Bruce appeared live with David Davis on the Good Morning San Diego Show. Bruce's segment theme was "Hot New Fall Gadgets." Bruce appeared live with Mike Castellucci and Dr. Ted Mazer of Physicians Surgery Center at Alvarado on the Good Morning San Diego Show. Bruce's segment theme was "Preventing Hearing Loss." Bruce appeared live with Wendy Burch on the #1 "KTLA Morning Show" on Los Angeles super station KTLA TV Morning Show. Bruce's segment theme was "Awesome Back to School Gear." Bruce appeared live with Dan Plante on the Good Morning San Diego Show. Bruce's segment theme was "Back to School Tech." Bruce appeared live on the Good Morning San Diego Show. Bruce's segment theme was "Dangers of Texting & Driving." Bruce appeared live with Bridget Naso on the Good Morning San Diego Show. Bruce's segment theme was "Hi-Tech Oral Hygiene." Bruce appeared live with David Davis on the Good Morning San Diego Show. Bruce's segment theme was "Great Gear for Opening Day at the Races." Bruce appeared live with Dan Plante on the Good Morning San Diego Show. Bruce's segment theme was "Amazing Cell Phones & Accessories." Bruce appeared live with Bridget Naso on the Good Morning San Diego Show. Bruce's segment theme was "World Cup Mania." Bruce appeared live with Kerri Sargent on the Good Morning San Diego Show. Bruce's segment theme was "Dads and Grads." Bruce spoke at the San Diego County Aging Summit at the Town & Country Hotel in San Diego. He discussed and demonstrated products geared towards seniors, people with disabilities, and their caregivers. Click here to see the technology products shown at Aging Summit 2010. Bruce appeared live with Bridget Naso and Denise Nelesen (County of San Diego Communiations Manager) on the Good Morning San Diego Show. Bruce's segment theme was promoting the 2010 San Diego Aging Summit. Bruce appeared live with Dan Plante on the Good Morning San Diego Show. Bruce's segment theme was "Hi-Tech Cameras." Bruce appeared live with Dan Plante on the Good Morning San Diego Show. Bruce's segment theme was "Hot Computer Tech & Trends." Bruce appeared live with Bridget Naso on the Good Morning San Diego Show. Bruce's segment theme was "Hi-Tech Moms." Bruce appeared live with Jessica Holmes, Michaela Pereira, and Sam Rubin on the #1 "KTLA Morning Show" on Los Angeles super station KTLA TV Morning Show. Bruce's segment theme was "Cool & Crazy New Inventions." Bruce appeared live with Jessica Holmes on the #1 "KTLA Morning Show" on Los Angeles super station KTLA TV Morning Show. Bruce's segment theme was "Hi-Tech Spring Cleaning." Bruce appeared live with Dan Plante on the Good Morning San Diego Show. Bruce's segment theme was "Wacky (But Useful!) Gadgets." Bruce appeared live with Bridget Naso on the Good Morning San Diego Show. Bruce's segment theme was "Hi-Tech Home Cleaning." Bruce appeared live with Michaela Pereira, Sam Rubin, and Jessica Holmes on the #1 "KTLA Morning Show" on Los Angeles super station KTLA TV Morning Show. Bruce's segment theme was "Wacky Fitness Gear"
Bruce appeared live with Bridget Naso on the Good Morning San Diego Show. Bruce's segment theme was "Taxes & Organization." Bruce appeared live with Dan Plante on the Good Morning San Diego Show. Bruce's segment theme was "Innovative Fitness Equipment." Bruce appeared live with Bridget Naso on the Good Morning San Diego Show. Bruce's segment theme was "Hi-Tech Hair." Bruce appeared live with Dan Plante on the Good Morning San Diego Show. Bruce's segment theme was "Great Products for a Healthy Back." Bruce appeared live with Bridget Naso on the Good Morning San Diego Show. Bruce's segment theme was "Valentines Day Gifts." Bruce appeared live with Dan Plante on the Good Morning San Diego Show. Bruce's segment theme was "Apple iPad." The Muscleman of Technology attended The Los Angeles Fitness Expo at the Los Angeles Convention Center, the largest health and fitness consumer show on the West Coast. Bruce appeared live with Dan Plante on the Good Morning San Diego Show. Bruce's segment theme was "Best of CES." The Muscleman of Technology attended CES , the world's largest consumer electronics show featuring the hottest technologies under the sun from 2,400 exhibitors. Bruce appeared live with Lena Lewis on the Good Morning San Diego Show. Bruce's segment theme was "Chargermania." Bruce appeared live with Bridget Naso on the Good Morning San Diego Show. Bruce's segment theme was "Holiday Video Game Roundup." Bruce Appears on KTLA TV — How to Be Productive - While Exercising! Bruce appeared live with Michaela Pereira and Frank Buckley on the #1 "KTLA Morning Show" on Los Angeles super station KTLA TV Morning Show. Bruce's segment theme was "How to Be Productive - While Exercising!" Bruce appeared live with Dan Plante on the Good Morning San Diego Show. Bruce's segment theme was "Black Friday Deals." Bruce appeared live with Dan Plante on the Good Morning San Diego Show. Bruce's segment theme was "Hot Holiday Gifts." Bruce appeared live with Bridget Naso on the Good Morning San Diego Show. Bruce's segment theme was "Holiday Gift Preview." Bruce appeared live with Dan Plante on the Good Morning San Diego Show. Bruce's segment theme was "Microsoft Windows 7." Bruce appeared live with David Davis on the Good Morning San Diego Show. Bruce's segment theme was "Innovative Fitness." Bruce appeared live with Mark Kriski and Sam Rubin on the #1 "KTLA Morning Show" on Los Angeles super station KTLA TV Morning Show. Bruce's segment theme was "Spy Gadgets: How to Become a Double Agent." Bruce appeared live with Dan Plante on the Good Morning San Diego Show. Bruce's segment theme was "Scary Halloween Fun." Bruce appeared live with Dan Plante on the Good Morning San Diego Show. Bruce's segment theme was "Spy Gadgets." Bruce Emcee'd the bi-annual Media Communications Association International “Media Showcase” awards event at Qualcomm Theatre. Local media professionals showcased work created with state-of-the-art talent and technology. The event featured big-screen demonstrations from film, video and multimedia experts. Bruce appeared live with Dan Plante on the Good Morning San Diego Show. Bruce's segment theme was "eBooks." Bruce appeared live with Dan Plante on the Good Morning San Diego Show. Bruce's segment theme was "Essential Products for Starting Your Own Business." Bruce appeared live with David Davis on the Good Morning San Diego Show. Bruce's segment theme was "Back To School." Bruce appeared live with Dan Plante on the Good Morning San Diego Show. Bruce's segment theme was "Cell Phone Mania." Bruce appeared live with Bridgit Naso on the Good Morning San Diego Show. Bruce's segment theme was "Great Gear for Horse Lovers." Bruce appeared live with Dan Plante on the Good Morning San Diego Show. Bruce's segment theme was "Ultra-Portable Computers." Bruce appeared live Arthel Neville with on the Fox Morning News. Bruce's segment theme was "Summer Outdoor Party Gear." Bruce appeared live with Dan Plante on the Good Morning San Diego Show. Bruce's segment theme was "Video Game Friday's." Tune in to see what video game Bruce will show next! Bruce appeared live with Raoul Martinez on the Fox Morning News. Bruce's segment theme was "Fun Fitness Gear." Bruce appeared live with David Davis on the Good Morning San Diego Show. Bruce's segment theme was "Great Father's Day Gifts." Bruce appeared live with Bridget Naso on the Good Morning San Diego Show. Bruce's segment theme was "Digital TV Transition." Bruce will cover the E3Expo 2009 at the Los Angeles Convention Center for multiple broadcast television stations. E3 is the world's largest trade show for computer video games, interactive software and related products. Bruce will speak at the 15th Annual Southwest Computer Conference . Bruce will discuss and demo "The Most Innovative & Wacky Gadgets of the Year." Bruce appeared live with Allie MacKay on the #1 "KTLA Morning Show" on Los Angeles super station KTLA TV Morning Show. Bruce's segment theme was "Fun Beach Gadgets"
Bruce appeared live with Dan Plante on the Good Morning San Diego Show. Bruce's segment theme was "Amazing Digital Cameras." Bruce appeared live with Jessica Holmes, Mark Kriski, and Sam Rubin on the #1 "KTLA Morning Show" on Los Angeles super station KTLA TV Morning Show. Bruce's segment theme was "Great Pool Gadgets"
Bruce appeared live with David Davis on the Good Morning San Diego Show. Bruce's segment theme was "Mother's Day." Bruce will speak to San Diego County Seniors in Poway on April 30, 2009. Bruce will give an entertaining high energy talk called "Don't Be Timid About Technology." Bruce appeared live with Dan Plante and Denise Nelesen (San Diego County Communications Manager for Aging & Independence Services) on the Good Morning San Diego Show. Bruce did a public service announcement to let everyone know about the upcoming Senior Learning Festival at the Poway Library on 4/30/09. Bruce appeared live with David Davis on the Good Morning San Diego Show. Bruce's segment theme was "Earth Day." Bruce Appears on KTLA TV — Are You a Germaphobe? Bruce appeared with Mark Kriski and Frank Buckley on the #1 "KTLA Morning Show" on Los Angeles super station KTLA TV Morning Show. Bruce's segment theme was "Are You a Germaphobe?" Bruce appeared live with Dan Plante on the Good Morning San Diego Show. Bruce's segment theme was "Taxes & Organization." Bruce appeared live with David Davis on the Good Morning San Diego Show. Bruce's segment theme was "Hot Products 2009." Bruce appeared live with Dan Plante on the Good Morning San Diego Show. Bruce's segment theme was "Computer Security." Bruce appeared live with Mark Kriski on the #1 "KTLA Morning Show" on Los Angeles super station KTLA TV Morning Show. Bruce's segment theme was "Wild and Crazy Valentines Gifts." Bruce appeared live with David Davis on the Good Morning San Diego Show. Bruce's segment theme was "Hi-Tech Valentines Day Gifts." The Muscleman of Technology participated in the 12th Annual Tiger Direct 2009 PC Race for Charity. Bruce and 30 other top industry journalists raced to build a PC. $10,000 was donated to the winner's charity and a PC was donated to all other participants' charities. Bruce's charity is the Helen Woodward Animal Center. Helen Woodward Animal Center is a unique, private, non-profit organization dedicated to saving the lives of animals and enriching the lives of people. For more than 30 years, their no-kill Center has provided humane care and adoption for orphaned animals, as well as animal-centered educational and therapeutic programs for people. The Muscleman of Technology attended CES. CES is the world's largest consumer electronics show featuring the hottest technologies under the sun from 2,400 exhibitors. Bruce appeared live with Dan Plante on the Good Morning San Diego Show. Bruce's segment theme was "Healthy Holiday Housewares." The Muscleman of Technology donated 6 large boxes of new children's toys to the Rady Children's Hospital to help brighten the holidays of sick children. Rady Children's is San Diego's only hospital dedicated exclusively to kids, providing care to more than 93,000 sick or injured kids every year. Bruce appeared live with David Davis on the Good Morning San Diego Show. Bruce's segment theme was "Holiday Video Game Round-Up." Bruce appeared live with Dan Plante on the Good Morning San Diego Show. Bruce's segment theme was "Best Tech Gifts Under $50." Bruce appeared live with Michaela Pereira and Jessica Holmes on the #1 "KTLA Morning Show" on Los Angeles super station KTLA TV Morning Show. Bruce's segment theme was "Unique Holiday Gifts on a Tight Budget." Bruce appeared live with Dan Plante on the Good Morning San Diego Show. Bruce's segment theme was "Hi-Tech Personal Beauty/Grooming Products." Bruce appeared live with David Davis on the Good Morning San Diego Show. Bruce's segment theme was "Cool Exercise Equipment." Bruce appeared live with Michaela Pereira on the #1 "KTLA Morning Show" on Los Angeles super station KTLA TV Morning Show. Bruce's segment theme was "Scary Halloween." Bruce appeared live with Dan Plante on the Good Morning San Diego Show. Bruce's segment theme was "Halloween Tech." Bruce appeared live with Dan Plante and Joe Lizura on the Good Morning San Diego Show. Bruce's segment theme was "RetailVision Show Roundup." Click here to see the products featured. Bruce appeared live with David Davis on the Good Morning San Diego Show. Bruce's segment theme was "Healthy Cooking Products." Bruce reported live from the DEMOfall 08 technology show. With more than 20,000 technologies reviewed and 1,500 companies selected to launch on the DEMO stage over the past 18 years, DEMO has continually searched the globe to find innovation where it lives. Bruce appeared live with Ben Aaron and Shally Zomorodi on DayBreak OC. Bruce's segment theme was "Robot Invasion." Bruce appeared live with Mark Kriski on the #1 "KTLA Morning Show" on Los Angeles super station KTLA TV Morning Show. Bruce's segment theme was "Wacky Back to School Gear." Bruce appeared live with Dan Plante on the Good Morning San Diego Show. Bruce's segment theme was "2008 Summer Olympic Video Games." Bruce appeared live with Michaela Pereira, Cher Calvin and Jessica Holmes on the #1 "KTLA Morning Show" on Los Angeles super station KTLA TV Morning Show. Bruce's segment theme was "Wii Fit." Bruce appeared live with Dan Plante on the Good Morning San Diego Show. Bruce's segment theme was "Hi-Tech Travel." Bruce appeared live with Dan Plante on the Good Morning San Diego Show. Bruce's segment theme was "July 1st Cell Phone Law." Bruce appeared live with David Davis on the Good Morning San Diego Show. Bruce's segment theme was "Dads & Grads." Bruce spoke for a standing-room-only audience at the 15th Annual Southwest Computer Conference. Bruce discussed and demonstrated "The Most Innovative & Wacky Gadgets of the Year." Bruce appeared live with Dan Plante on the Good Morning San Diego Show. Bruce's segment theme was "Best 2008 Cameras & Accessories." Bruce appeared live with Dan Plante on the Good Morning San Diego Show. Bruce's segment theme was the new "Wii Fit." Bruce appeared live with Michaela Pereira, Cher Calvin and Jessica Holmes on the #1 "KTLA Morning Show" on Los Angeles super station KTLA TV Morning Show. Bruce's segment theme was "Massage Machines to Melt Your Stress Away." Bruce appeared live with Dan Plante on the Good Morning San Diego Show. Bruce's segment theme was "5 Things to Know Before You Buy a Laptop Computer." Bruce appeared live with Kristen Cusato on the Good Morning San Diego Show. Bruce's segment theme was "Hi-Tech Mother's Day Gifts." Bruce appeared live with Dan Plante on the Good Morning San Diego Show. Bruce's segment theme was "Earth Day." Bruce appeared live with Michaela Pereira, Elizabeth Espinosa, and Jessica Holmes on the #1 "KTLA Morning Show" on Los Angeles super station KTLA TV Morning Show. Bruce's segment theme was "Hi-Tech Home Cleaning." Bruce appeared live with Dan Plante and Bridget Naso on the Good Morning San Diego Show. Bruce's segment theme was "Awesome Pet Gear." Bruce appeared live with David Davis on the Good Morning San Diego Show. Bruce's segment theme was "Tax and Organization Tips." Bruce appeared live with Sam Rubin and Mark Kriski on the #1 "KTLA Morning Show" on Los Angeles super station KTLA TV Morning Show. Bruce's segment theme was "Wacky Gadgets of CES 2008." Bruce appeared live with Dan Plante on the Good Morning San Diego Show. Bruce's segment theme was "Great Fitness Gear of 2008." Bruce attended the 2008 Global Pet Expo. Bruce appeared live with David Davis on the Good Morning San Diego Show. Bruce's segment theme was "The Best of CES." Bruce appeared live with Bridget Naso on the Good Morning San Diego Show. Bruce's segment theme was "Super Bowl Games." Bruce appeared live with Mark Kriski and Frank Buckley on the #1 "KTLA Morning Show" on Los Angeles super station KTLA TV Morning Show. Bruce's segment theme was "Get in Shape with The Muscleman of Technology." The Muscleman of Technology reported live from CES for KUSI-TV and KTLA-TV. CES is the world's largest consumer electronics show featuring the hottest technologies under the sun from 2,400 exhibitors. Bruce appeared live with Sandra Maas on the Good Morning Diego show. Bruce's segment theme was "Hi-Tech Watches." Bruce appeared on Fox & Friends with Steve Doocy and Brian Kilmeade an all new live segment—"Awesome Tech Presents of the Holiday Season". Bruce appeared live and Courtney Friel and Kelly Wright on Fox & Friends Christmas Day with an all new segment—"Last Minute Christmas Gift Ideas". Bruce appeared live with David Davis on the Good Morning Diego show. Bruce's segment theme was "Hi-Tech Toys and Video Games for Kids." Bruce appeared live with Dan Plante on the Good Morning Diego show. Bruce's segment theme was "Holiday Video Game Round-Up." Bruce appeared live with Michaela Pereira and Frank Buckley on the #1 "CW Morning Show" on Los Angeles super station KTLA TV Morning Show. Bruce's segment theme was "Holiday Tech Gifts Under $50." Bruce appeared live with David Davis on the Good Morning San Diego show. Bruce's segment theme will be "Men's Hi-Tech Grooming." Bruce appeared live with Dan Plante on the Good Morning San Diego show. Bruce's segment theme was "Holiday Robot Invasion." Bruce appeared live on KMIR-TV NBC. Bruce's segment themes were "Robot Invasion", "Getting in Shape for the Holidays", and "Men's Hi-Tech Grooming." Bruce was the Special Guest with Steve Cohen on KCBQ Radio, 1170 AM. He discussed the best tips, secrets, and ways to keep motivated and make fitness part of your lifestyle everyday (and some cool new Tec products to keep you pumped up as well). Bruce appeared live with Dan Plante on the Good Morning San Diego show. Bruce's segment theme was "How to Buy an HD-TV." Bruce appeared live with Greg Kelly, Page Hopkins and Kelly Wright on Fox & Friends Weekend. Bruce's segment theme was "World's Best iPod Accessories." Bruce appeared live on KMIR-TV NBC. Bruce's segment theme was "Emergency Gear." Bruce appeared on three pages (pg. 96, 100, & 101) in the Holiday 2007 SkyMall Catalogue. Click here to see Bruce. Bruce appeared live with Frank Buckley and Sam Rubin on the #1 "CW Morning Show" on Los Angeles super station KTLA TV Morning Show. Bruce's segment theme was "Scary Halloween Tech." Bruce appeared live with David Davis on the Good Morning San Diego show. Bruce's segment theme was "Best Portable Fitness Gear." Bruce appeared live with Bridget Naso on the Good Morning San Diego show. Bruce's segment theme was "Scary Halloween Tech." Bruce appeared live with Dan Ball on CBS Channel 2, Palm Springs. Bruce's segment theme was "Innovative Products of the Year." Bruce appeared live with Gino LaMont on KMIR-TV NBC. Bruce's segment theme was "Halo 3." Bruce appeared live with David Davis on the Good Morning San Diego show. Bruce's segment theme was "Halo 3." Bruce appeared live with Fiona Gorostiza on KMIR-TV NBC. Bruce's segment theme was "Hi-Tech Pets." Bruce appeared live with Sandra Maas and Joe Lizura on the Inside San Diego show. Bruce's segment theme was "Making the Most of Digital Photos." Click here to see the products featured. Bruce appeared live with Bridget Naso on the Good Morning San Diego show. Bruce's segment theme was "Amazing Navigation Systems." Bruce appeared with Sam Rubin and Cher Calvin on the #1 "CW Morning Show" on Los Angeles super station KTLA TV Morning Show. Bruce's segment theme was "How To Beat the Back To School Blues." Bruce appeared live with Greg Kelly and Page Hopkins on Fox & Friends Weekend. Bruce's segment theme was "Cool Fall Gadgets." Bruce appeared live with David Davis on the Good Morning San Diego show. Bruce's segment theme was "Great Gadgets for Your Dorm." Bruce appeared live with Bridget Naso on the KUSI TV Channel 9 "Good Morning San Diego" show. Bruce's segment theme was "Back to School Tech." Click here to see the products featured. Bruce appeared live with Kristen Cusato on the KUSI TV Channel 9 "Good Morning San Diego" show. Bruce's segment theme was "Hi-Tech Dogs." Click here to see the products featured. Bruce appeared live with Sandra Maas and Joe Lizura on the KUSI TV Channel 9 "Inside San Diego" show. Bruce's segment theme was "Crazy USB Computer Accessories." Bruce appeared with Carlos Amezcua on the #1 "CW Morning Show" on Los Angeles super station KTLA TV Morning Show. Bruce's segment theme was "Hi-Tech Pets." Bruce appeared with David Davis on the KUSI TV Channel 9 "Good Morning San Diego" show. Bruce's segment theme was "Best Home Fitness Machines." Bruce appeared with Bridget Naso on the KUSI TV Channel 9 "Good Morning San Diego" show. Bruce's segment theme was "Waterproof Summer Gear." Bruce appeared with Jessica Holmes and Mark Kriski on the #1 "CW Morning Show" on Los Angeles super station KTLA TV Morning Show. Bruce's segment theme was "Waterproof Summer Fun." Bruce will be a special guest on the Broadminded XM Radio program (channel 155) Thursday, June 14, 2007. Bruce will be dishing out free gifts to listeners for Father's Day. Bruce appeared live with Bridget Naso on the KUSI TV Channel 9 "Inside San Diego" show. Bruce's segment theme was "Father's Day Tech Gifts." Bruce appeared live with Dan Plante on the KUSI TV Channel 9 "Good Morning San Diego" show. Bruce's segment theme was "Father's Day Tech Gifts." Bruce appeared live with Lena Lewis on the KUSI TV Channel 9 "Good Morning San Diego" show. Bruce's segment theme was "Hot Digital Cameras & Accessories." Bruce appeared live with Carlos Amezcua and Mark Kriski on the #1 "CW Morning Show" on Los Angeles super station KTLA TV Morning Show. Bruce's segment theme was "Wacky Dad's and Grad's Tech Gifts." Bruce appeared live with David Davis on the KUSI TV Channel 9 "Good Morning San Diego" show. Bruce's segment theme was "Dad's and Grad's Tech Gifts." Bruce was a guest on the Gadget Panel Radio Show . Bruce appeared live with Dan Plante on the KUSI TV Channel 9 "Good Morning San Diego" show. Bruce's segment theme was "Mother's Day Tech Gifts." Bruce appeared live with David Davis on the KUSI TV Channel 9 "Good Morning San Diego" show. Bruce's segment theme was "Hottest Video Game Trends." Bruce appeared live with Michaela Pereira on the #1 "CW Morning Show" on Los Angeles super station KTLA TV Morning Show. Bruce's segment theme was "Hi-Tech Home Cleaning." Bruce appeared live with David Davis on the KUSI TV Channel 9 "Good Morning San Diego" show. Bruce's segment theme was "Earth Day." Bruce appeared live with Bridget Naso on the KUSI TV Channel 9 "Good Morning San Diego" show. Bruce's segment theme was "Hi-Tech Home Cleaning." Bruce appeared live with David Davis on the KUSI TV Channel 9 "Good Morning San Diego" show. Bruce's segment theme was "Cell Phone Mania." Bruce appeared live with Carlos Amezcua on the #1 "CW Morning Show" on Los Angeles super station KTLA TVV. Bruce's segment theme was "Crazy Flying Machines." Bruce appeared with Dan Plante on the KUSI TV Channel 9 "Good Morning San Diego" show. Bruce's segment theme was "Hi-Tech Taxes." Bruce appeared live with Mark Kriski on the #1 "CW Morning Show" on Los Angeles super station KTLA TV. Bruce's segment theme was "Hi-Tech Health Products." Bruce appeared live with David Davis on the KUSI TV Channel 9 "Good Morning San Diego" show. Bruce's segment theme was "Best Gear for 2007." Bruce appeared live with Dan Plante on the KUSI TV Channel 9 "Good Morning San Diego" show. Bruce's segment theme was "Valentine's Day Tech Gifts." Bruce appeared live with Dan Plante on the KUSI TV Channel 9 "Good Morning San Diego" show. Bruce's segment theme was "Babytronics"
Bruce appeared live with Michaela Pereira on the #1 "CW Morning Show" on Los Angeles super station KTLA TV. Bruce's segment theme was "Hi-Tech Oral Hygiene." The Muscleman of Technology participated in Tiger Direct's 10th Annual PC Challenge. He raced other celebrities to build a PC. $10,000 was donated to the winner's charity. Bruce's charity is the Get Well Gamers Foundation. The Get-Well Gamers Foundation was founded in 2001 with the goal of bringing video game systems and games to children's hospitals. Video games are an effective and proven pain management tool and provide needed entertainment during long hospital stays. Bruce appeared live with Dan Plante on the KUSI TV Channel 9 "Good Morning San Diego" show. Bruce's segment theme was "Chargermania"- Gear for the Ultimate Fan. The Muscleman of Technology donated 4 large boxes of new children's toys to the Rady Children's Hospital to help brighten the holidays of sick children. Rady Children's is San Diego's only hospital dedicated exclusively to kids, providing care to more than 93,000 sick or injured kids every year. Bruce appeared live with Dan Plante on the KUSI TV Channel 9 "Good Morning San Diego" show. Bruce's segment theme was "Hi-Tech Oral Hygiene." Bruce appeared live with Sandra Maas on the KUSI TV Channel 9 "Inside San Diego" show. Bruce's segment theme was "Home Productivity Products." Bruce appeared live with Bridget Naso on the KUSI TV Channel 9 "Good Morning San Diego" show. Bruce's segment theme was "Power Tools for Guys." Bruce appeared live with Dan Plante on the KUSI TV Channel 9 "Good Morning San Diego" show. Bruce's segment theme was "Annual Holiday Gaming Roundup." Bruce appeared live with David Davis on the KUSI TV Channel 9 "Good Morning San Diego" show. Bruce's segment theme was "Best Tech Gifts Under $50." Bruce appeared live with David Davis on the KUSI TV Channel 9 "Good Morning San Diego" show. Bruce's segment theme was "Best Gear for TVs & HDTVs." Bruce appeared live with Michaela Pereira and Carlos Amezcua on the #1 "CW Morning Show" on Los Angeles super station KTLA TV. Bruce's segment theme was "Hi-Tech Watches." Bruce appeared live with Sandra Maas on the KUSI TV Channel 9 "Inside San Diego" show. Bruce's segment theme was "Hi-Tech Watches." Bruce appeared live with Bridget Naso on the KUSI TV Channel 9 "Good Morning San Diego" show. Bruce's segment theme was "Halloween Tech." Bruce appeared live with David Davis on the KUSI TV Channel 9 "Good Morning San Diego" show. Bruce's segment theme was "Home Office Productivity." Bruce appeared live with Michaela Pereira on the #1 "KTLA Morning Show" on Los Angeles super station KTLA TV. Bruce appeared live with Sandra Maas on the KUSI TV Channel 9 "Inside San Diego" show. Bruce's segment theme was "Hi-Tech for Ladies." Bruce appeared live with David Davis on the KUSI TV Channel 9 "Good Morning San Diego" show. Bruce's segment theme was "Hi-Tech Musical Instruments." Bruce appeared live with Dan Plante on the KUSI TV Channel 9 "Good Morning San Diego" show. Bruce's segment theme was "Hi-Tech Pets." Bruce was the special guest on this week's Fitness Business Radio with Tom Perkins. He discussed why personal trainers should have a web presence. He also discussed the Bowflex SelectTech dumbbells, Brookstone iGallop, Interactive Health's iJoy Board, Tanita's Body Composition scales such as the Ironman BC-554, Dynamax gyro, Hydrabrush toothbrush, and Jay Robb protein. Bruce appeared live with David Davis on the KUSI TV Channel 9 "Good Morning San Diego" show. Bruce's segment theme was "Back to School." Bruce appeared live with Sandra Maas on the KUSI TV Channel 9 "Inside San Diego" show. Bruce's segment theme was "Hi-Tech Vacation Gear." Bruce was a guest on Travel Talk Radio with host Sandy Dhuyvetter. Bruce spoke about some of the best /cool travel gear to take with you on vacation...for both business and pleasure! Bruce appeared live with David Davis on the KUSI TV Channel 9 "Good Morning San Diego" show. Bruce's segment theme was "How to Buy a Laptop Computer." Bruce appeared live with Susan Lennon and Renee Kohn on the KUSI TV Channel 9 "Inside San Diego" show. Bruce's segment theme was "Tech Gear for Staying Cool." Bruce appeared live with David Davis on the KUSI TV Channel 9 "Good Morning San Diego" show. Bruce's segment theme was "Cool Travel Gear." Bruce appeared live with Bridget Naso on the KUSI TV Channel 9 "Good Morning San Diego" show. Bruce's segment theme was "Innovative Fitness Gear." Bruce appeared live with David Davis on the KUSI TV Channel 9 "Good Morning San Diego" show. Bruce's segment theme was "Awesome Tech Gifts for Dads & Grads." Bruce appeared live with Dan Plante on the KUSI TV Channel 9 "Good Morning San Diego" show. Bruce's segment theme was "Computer Gear for Dads." Bruce attended the Fiesta Del PAWS 2006 event. Also in attendance were celebrity guests Stefanie Powers (Hart to Hart) and Joan Embery (frequent guest on the Tonight Show with Johnny Carson and Jay Leno). Founded in 1993, as a volunteer driven, non-profit organization, P.A.W.S. (Pets Are Wonderful Support) is an organization that provides essential services to assist low-income elderly, chronically ill and disabled in keeping their companion animals. By special request, Bruce was asked to appear in a national infomercial. He was flown to Deerfield Beach, Florida to give a testimonial for an upcoming high-tech toothbrush product launch. The infomercial will run on all major channels nationally starting in July. More details to follow. Bruce appeared live with Bridget Naso on the KUSI TV Channel 9 "Good Morning San Diego" show. Bruce's segment theme was "American Idol Mania." Bruce appeared live with Bridget Naso on the KUSI TV Channel 9 "Good Morning San Diego" show. Bruce's segment theme was "Hi-Tech for Ladies." Bruce covered E3Expo 2006 at the Los Angeles Convention Center for Gameworld Industries as well as for other broadcast stations. E3 is the world's largest trade show for computer video games, interactive software and related products. Bruce appeared live with Dan Plante on the KUSI TV Channel 9 "Good Morning San Diego" show. Bruce's segment theme was "Hi-Tech Beach Gear: Surf's Up." Bruce appeared live with David Davis on the KUSI TV Channel 9 "Good Morning San Diego" show. Bruce's segment theme was "Awesome Pet Gear." Bruce appeared live on with Dan Plante the KUSI TV Channel 9 "Good Morning San Diego" show. Bruce's segment theme was "Easter Animated Decorations." Bruce appeared live with Dan Plante on the KUSI TV Channel 9 "Good Morning San Diego" show. Bruce's segment theme was "Cell Phones & Accessories." Bruce was interviewed by Brian Anderson for PR Newswire, the global leader in news and information distribution services for professional communicators. Bruce attended the 59th annual Associated Press Television-Radio Association convention and mingled with broadcasting dignitaries and station executives. The weekend festivities kicked off with a private media reception in the Disneyland "Golden Horseshoe" saloon, and included VIP looks at "Disney - The First 50 Years," featuring "Buzz Lightyear's Astro Blasters," the hit new ride that kids and adults love. The convention was held at Disney’s fabulous Paradise Pier Hotel in Anaheim. Bruce attended the 2006 Global Pet Expo at the San Diego Convention Center. Bruce appeared live with Dan Plante on the KUSI TV Channel 9 "Good Morning San Diego" show. Bruce's segment theme was "Best Digital Cameras and Accessories." Bruce appeared live with David Davis on the KUSI TV Channel 9 "Good Morning San Diego" show. Bruce's segment theme was "Hi-Tech Spring Fitness Gear." Bruce appeared live with Bridget Naso on the KUSI TV Channel 9 "Good Morning San Diego" show. Bruce's segment theme was "Hi-Tech Oral Hygiene." Bruce appeared live with Dan Plante on the KUSI TV Channel 9 "Good Morning San Diego" show. Bruce's segment them was "Super Bowl Party Technology." Bruce appeared live with David Davis on the KUSI TV Channel 9 "Good Morning San Diego" show. Bruce's segment them was "Home Office Productivity." Bruce appeared live with David Davis on the KUSI TV Channel 9 "Good Morning San Diego" show. Bruce's segment them was "Hot 2006 Computer Technology." Mr. Bicep reported live from CES for Gameworld Industries and various broadcast network television stations. CES is the world's largest consumer electronics show featuring the hottest technologies under the sun from 2,400 exhibitors.